Ahhh, yes. 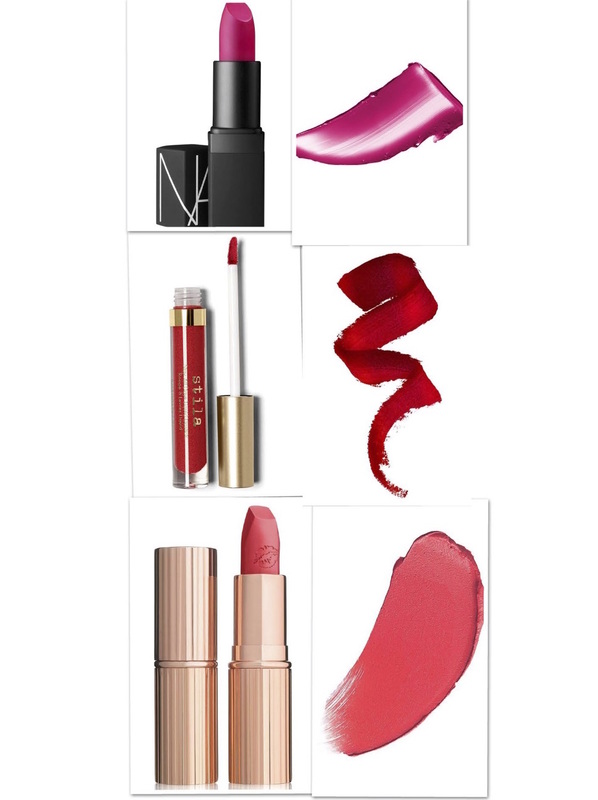 Something I seem to add in here a lot on this little blog are lipstick options. What can I say, I think every girl loves a lipstick because, for the most part, they're easy peasy (no added brushes or technique required) and can make your face feel fresh and new. Adding a lipstick can be a fun treat, or habit, but either way picking a bright color may definitely be something of a treat for most. With Spring in the air, and the snow slowly melting away, and the clouds quietly dispersing into longer days and shorter nights, finding a little pick me up is required. Of course wearing a bright sweater, or layering a sweater over a mxi dress is a transitional way to welcome the season and remind you that spring is coming even if the weather is being stubborn, but a great accessory to ensure you have color even when you are feeling uninspired by what your wardrobe has to offer can be found in the form of a fun new shade. Throw on a coral or magenta and welcome the world with a warm embrace. It's the perfect pop of color and requires no thought. Well, maybe some thought when you have to touch it up, but it's fun and easy and is the gift that keeps on giving. While I have never tried the shades shown above, they are brands I have tried and loved. Except for Charlotte Tilbury, I have my eyes on her and have been waning to try her for a while. Can anyone say "late to the game" on that one? I have Nars lipstick, and love the color pay off, and Stila will stay ALL DAY and not really dry out your lips. Why everyone doesn't buy her liquid lipstick is something I will truly never understand. Any who, these shades are fun and adding a bright lipstick is a ritual I have and will continue to observe this spring.